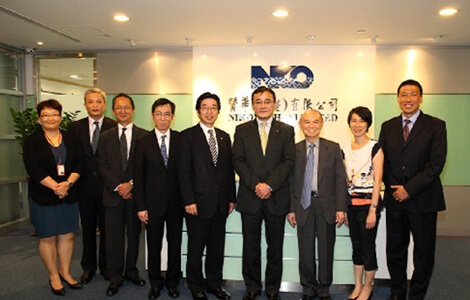 Nikoyo (HK) Ltd has been taking the best advantage of the fine and sound legal system and free flow of information in Hong Kong to introduce the most advanced computer peripherals around the world, such as imaging, storage, systems, security products and application technologies, to Hong Kong, mainland China and Macau markets. She is also a professional service provider, capable to design and deliver total solutions of software and hardware systems. Nikoyo (HK) Ltd gets on the ride to increase her exposure at IT industry when many of the global banks and financial companies are marching into the China market, at the same time China banks are setting up their bases in Hong Kong to extend their arms into the global market, picking up the role to build up and maintain the operation of their computer hubs. The company has been strengthen its sales force and provide extensive quality services to customers from different sectors in the market when Government departments and local SME companies are switching more and more operations into the e-environment. In eye of the prosperous mainland China and Hong Kong cross-border business, Nikoyo (HK) Ltd collaborates closely with partners who are the forerunners in the worldwide IT industry, utilizing her knowledge and expertise gained from the market, striving her best to introduce and deliver the most advanced products, quality services and total solutions to customers across mainland China and Hong Kong. Hong Kong has been a hub for many commercial and professional institutions. Nikoyo (HK) Ltd has built up a professional service team to cater their needs. The team has achieved great success over the years. Reference cases can be found at computer systems implementation, systems migration, systems upgrade, virtual desktop solution and knowledge management. The team is capable to customize software development and provide 24-hour after-sales technical service support. 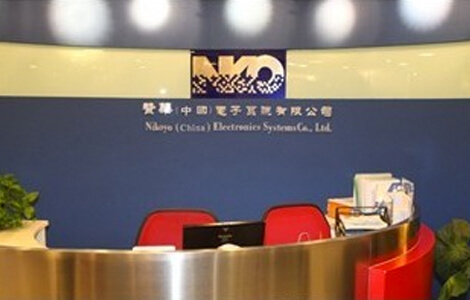 Established in China in 1985, Nikoyo (China) Electronics Systems Co Ltd, previously named as Nikoyo (Beijing) Electronics Systems Co Ltd, is the first wholly-owned subsidiary of Nikoyo (Holdings) Limited in Beijing with core business in storage system integration on computer network, software development, network engineering and professional services for data storage in China. She has excelled in total solution design and integration of mobile application, data capture, content management, cloud storage and cloud services. As a qualified service provider of China state-level IT projects, the company provides total solutions, professional services and support to customers from government organizations and different business sectors across China. An in-house laboratory has been set up to strengthen her capability and competitive edge in the market. Nikoyo Electronics Systems (Shenzhen) Co Ltd, headquarters in Shenzhen, is responsible for computer peripherals products business of Nikoyo (Holdings) Ltd, who initials the operation. There are seven subsidiaries under her umbrella: Beijing, Shanghai, Guangzhou, Chengdu, Wuhan, Shenyang and Jinan, with 36 business depots and a well-functioning service network across China. 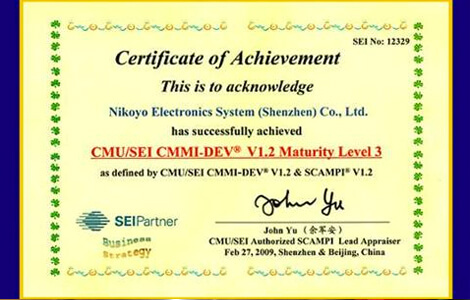 The company has been recognized and verified by Shenzhen Municipal Government as a qualified software enterprise and headquartered corporation, passed the ISO9001 quality management system certification and CMMI3 certification, and owns a number of self-developed software copyright products for image capturing and processing technology, content management, etc.